Pennsylvania. Over the years the town expanded to surrounding areas or patches known as Arnouts Addition, Wadesville, Dark Water, New Castle, Mount Laffee, Crow Hollow, Ravensdale, Lorraine, Diener's Hill, East Mines, and Mill Creek. People came from these areas to work in the mines, railroads, and supporting industries. As the demand for coal increased, the town grew to a high point of 7,000 residents. The decline of the coal industry also brought the decline of the railroads, and the population of St. Clair fell. 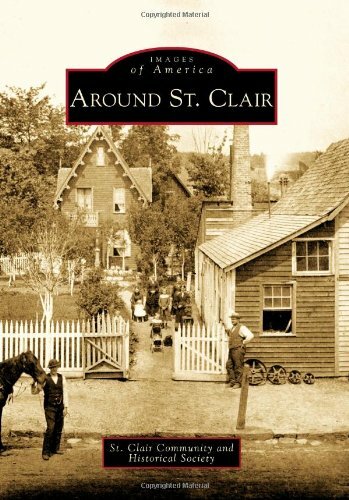 The photographs in Around St. Clair show the fortitude of its people; the notable residents who have gained national acclaim for their achievements in the labor movement, medical field, and professional sports; and the diverse cultures that make up the town.